Founded in 1729, Baltimore quickly grew thanks to its active port and role as a granary for sugar-producing colonies in the Caribbean. Its growth was further fueled by the development of new rail lines in the 19th century which connected Baltimore to markets in the Midwest and established the City as a major shipping and manufacturing center. After reaching a peak of nearly 950,000 residents in 1950, however, Baltimore’s population began to decline as significant numbers of white residents began moving to the suburbs and manufacturing jobs began leaving the city. Thus, while Baltimore remains the largest city in Maryland and the second largest seaport in the Mid-Atlantic, it is no longer an industrial city dominated by steel processing, shipping, and manufacturing. Instead, the leading employer is now Johns Hopkins, which operates the city's largest university and hospital. In fact, according to the Maryland Department of Commerce, the city’s eight largest employers are either nonprofits or public institutions. According to U.S. Census Bureau, Baltimore had around 621,849 residents as of July 2015. Nearly two-thirds (63 percent) of these are African American, 28 percent are white American, 5 percent are Hispanic American, and 3 percent Asian American. Poverty is a significant problem, affecting nearly a quarter (23 percent) of the city’s population. Baltimore’s African American residents are disproportionally affected by the city’s social and economic challenges. For example, while the median household income for white American residents was $60,550 in 2013, for African American residents it was just $33,610. Similarly, while well over a third (37 percent) of all African American men aged 20-24 were unemployed in 2013, just 10 percent of white American men in the same age group were jobless. Working to address these severe disparities and rebuild community wealth are numerous nonprofits, anchor institutions, and other groups. For example, Living Classrooms Foundation runs a social enterprise that revitalizes neighborhoods while providing training opportunities for 150 unemployed and disadvantaged adults each year. To date, its program is credited with cleaning over 40,000 vacant properties, rehabilitating 12 vacant homes, renovating 28 community buildings, and conducting over 45,000 hours of other needed community services. Another leading nonprofit in this field is Humanim, which runs several social enterprises including Details, a deconstruction and repurposing enterprise that has created over 60 jobs for those with barriers to employment. As the city’s largest employer, Johns Hopkins has also taken an active role in the community. Established in 2000, its Urban Health Institute (UHI) strives to brin gresources to the city and especially East Baltimore (the community in which its medical center is located) to improve community health and wellbeing. More recently, Hopkins launched HopkinsLocal, an initiative to expand participation by local and minority-owned businesses in its construction projects, hire more city residents, and increase procurement from local firms. HopkinsLocal inspired 25 area businesses to initiate a similar effort, BLocal, which also aims to boost locally-based hiring, procurement, and construction contracting. As of 2016, BLocal participants had pledged to direct at least $69 million into locally-owned, minority-owned, women-owned, and disadvantaged businesses over a three-year period. Launched in 2011 as part of the national Living Cities Integration Initiative, Baltimore Integration Partnership (BIP) is a collaborative partnership between 11 educational and healthcare institutions (anchor institutions), funders, nonprofits and public organizations focused on ensuring economic inclusion is the “culture of norm” in Baltimore through local hiring, purchasing, and community reinvestment. Its work is credited with helping 15 development projects secure debt financing, leveraging $150 million in investment and creating 800 jobs. Currently, BIP is focused on three core goals: 1) to connect local, small and minority-owned businesses to anchor procurement opportunities; 2) to encourage and leverage the real estate investments of anchors for the benefit of the broader community; and 3) to connect low-income people to jobs within anchors and anchor-supporting businesses. Established in 1919, Bon Secours is a 125-bed health facility in Southwest Baltimore with 860 employees. Since the 1990s, Bon Secours has taken an active role in neighborhood revitalization efforts, developing 529 units of senior housing and nearly 200 units of family housing as of 2015. Committed to the community, the hospital also supports a separate nonprofit, Bon Secours Community Works (BSCW), which provides a range of community and economic development programs, including workforce development, adult education, childcare, money management, re-entry services, and counseling. Focused on asset building, BSCW runs Our Money Place, which provides free or low-cost financial planning, tax preparation, credit and debt counseling, budget preparation and management, public benefits screening, and eviction prevention services. The nonprofit also includes a social enterprise, Clean and Green Landscaping, which provides training and job opportunities to area residents as they work to beautify and maintain vacant lots within the community. HopkinsLocal is an initiative launched by Johns Hopkins University and Health System to leverage its role as the largest anchor institution in Baltimore and create economic opportunities in the city. The initiative has three core goals: 1) to expand the participation of local and minority-owned businesses in construction projects; 2) to hire more city residents, particularly those from neighborhoods most in need of job opportunities; and 3) to increase procurement from local firms. HopkinsLocal inspired 25 area businesses to initiate a similar effort, BLocal, which also aims to boost locally-based hiring, procurement, and construction contracting. As of 2016, BLocal participants had pledged to direct at least $69 million into local and minority-owned, women-owned, and disadvantaged businesses over a three-year period. Founded in 1969 as the Greater Homewood Corporation, Strong City Baltimore adopted its new name in 2015 to reflect the organization’s evolution to a nonprofit focused on ensuring a stronger, more prosperous Baltimore for all city residents. With a mission to build and strengthen neighborhoods, Strong City runs a range of programs aimed to ensure safe streets, desirable and diverse housing stock, quality public schools, a robust and educated workforce, and strong civic engagement. In January 2016, the nonprofit launched a Community Wealth Building program, which is working at the city level to promote community wealth building strategies and models, and at the neighborhood level to catalyze concrete projects designed to build and grow neighborhood-based wealth. The Coppin Heights Community Development Corporation (CHCDC) is a not-for-profit organization established in 1995 by Coppin State University. The group supports basic community planning and improvement efforts (including lead safety and vacant property management) in the Greater Coppin Heights/Rosemont community, as well as service-learning opportunities for Coppin State students. Most recently, the CDC is partnering with Total Health Care, one of Maryland’s largest minority-run, nonprofit, community health centers, to redevelop a vacant, dilapidated historic property into a new community health center. Founded in 1974, Druid Heights CDC is a resident-driven organization that works to foster community self-empowerment through the development of economic, educational, employment, and affordable housing opportunities. The CDC is credited with developing 35 affordable new townhomes and rehabilitating 83 units of multi-family rental housing. In partnership with a local church, it is currently renovating a neighborhood facility to create The Franklin Entrepreneurial and Apprenticeship Center, a project that includes classrooms, a computer lab, office space, a conference room, two multipurpose rooms, a commercial kitchen for culinary training, a café, a meditation garden, and a rooftop deck and greenhouse. Other programs include homeownership counseling, a re-entry program, a community peace patrol, and free senior transportation services. Established in 2007 to implement the neighborhood’s master plan, Park Heights Renaissance (PHR) is a CDC dedicated to revitalizing the 1,500 acre Park Heights community, the largest redevelopment effort in Maryland history. Since the plan’s approval in 2008, several affordable housing developments have been created, including Renaissance Gardens, a 60-unit apartment complex for limited-income seniors. The redevelopment’s next phase will focus on a 50-acre area, which encompasses hundreds of vacant properties. The CDC also provides a range of community and human services for area residents. Founded in 1975 as Southeast Development Inc. (SDI) to serve as the development arm of the Southeast Community Organization (SECO), an umbrella community organization in Baltimore, Southeast Community Development Corporation initially focused on developing affordable housing and commercial projects. In 2000, SDI separated from SECO and adopted a broader mission—to promote the healthy, dynamic, and diverse communities of Southeast Baltimore. Today, the CDC offers comprehensive homeownership education services, including financial counseling, first-time homeownership counseling, and foreclosure prevention counseling. It is also the only city nonprofit offering on-line classes, evening and weekend appointments, and bi-lingual services. Its commercial projects include the redevelopment of two theaters and a school into a performing arts center, a public library, and youth center. Also focused on sustainable community revitalization, the CDC has a green office building, has helped “green” area schools, and has partnered with other community groups to plant hundreds of trees in the area. 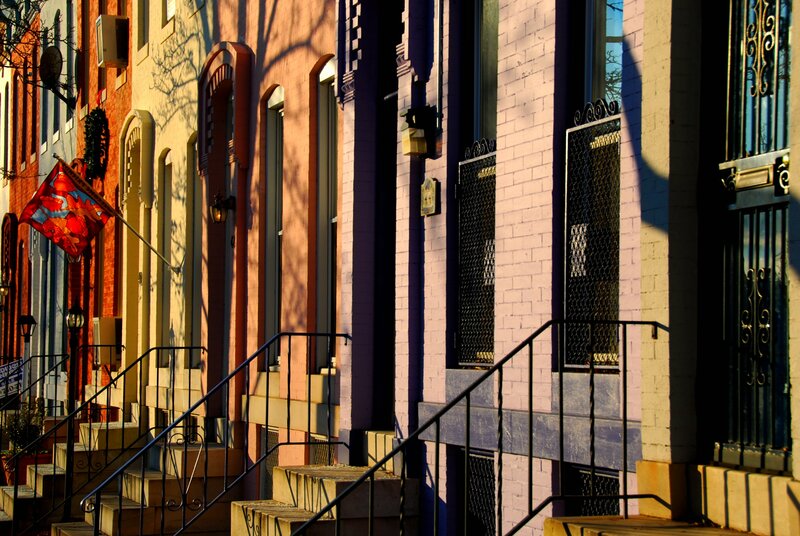 A nonprofit community loan fund, Baltimore Community Lending (BCL) provides financing to develop affordable housing, community facilities, and mixed used developments in underserved Baltimore neighborhoods. Established in 1989 and certified as a CDFI in 2002, BCL is credited with leveraging nearly $160 million to produce 3,750 affordable homes and 450,000 square feet of commercial and community facility space. It has also helped Baltimore households threatened by predatory lending by providing the capital needed to refinance $3.5 million into affordable loan mortgages, and by administering training and technical assistance to homeowners to complete $2.7 million in repairs so that they could preserve their homes. Opened in 1982, Harbor Bank of Maryland was the first minority-owned, full-service bank in Baltimore. With assets of $233 million as of 2015, the bank aims to serve as a catalyst for economic development by offering small and mid-size business loans, directing a non-profit community development corporation, and lending in distressed areas. As a CDFI, the bank is credited with directly leveraging approximately $800 million in Baltimore—investments that have indirectly initiated more than $1.5 billion dollars of new development in the area. Founded in 1959, Green Contracting Company, Inc. is a mechanical contractor specializing in heavy mechanical construction with more than 100 employees and annual revenues of roughly $35 million. In 1999, the company became 100 percent employee-owned through an ESOP. Maryland Brush Company was established in 1851 and is a leading manufacturer and supplier of industrial brushes to customers on every continent. A subsidiary of Pittsburgh Plate & Glass from 1901 to 1989, it was spun off and incorporated as ESOP in 1990 with the assistance of the United Steelworkers. It is 100 percent owned by its 39 employees. Civic Works’ Baltimore Center for Green Careers aims to make Baltimore’s economy more equitable and sustainable by training residents for jobs in the green economy. Residents are trained in brownfields remediation, residential energy efficiency, or solar instillation, and receive hands-on experience through the Center’s social enterprise. The Center also focuses on “high-road business development” by marketing and channeling procurement opportunities to employers committed to equitable hiring and employment standards. Since 2003, the Center has graduated 475 city residents, 85 percent of whom have secured family-sustaining employment, and directed $2.5 million in procurement opportunities to “high-road” employers. Established in 2001, Baltimore CASH Campaign is a collaborative effort among Baltimore foundations, nonprofits, workforce development agencies, City government, the Internal Revenue Service, and hundreds of volunteers to help Baltimore’s working families maximize their financial opportunities and resources. To do so, the Campaign champions the Earned Income Tax Credit (EITC) and other tax credits for low-income workers; provides free income tax assistance; connects people to asset building resources, including financial education classes, one-on-one financial coaching, and mainstream banking opportunities; and advocates for issues impacting working families. Since 2001, the Campaign is credited with helping city residents claim over $80 million in total federal refunds and over $40 million from the EITC. Baltimore Free Farm is an egalitarian collective of gardeners and activists aiming to provide all community members with access to healthy food. To do so, they rent plots on sliding scale fees so that all people can grow vegetables. They also maintain a collective garden, greenhouse, pepper patch, compost bin, tool shed, and chicken coop. Committed to preventing food waste, members of the farm go every Wednesday to produce distributors and grocers to rescue 300-500 pounds of “distressed goods” (i.e., items too ripe to sell or past their expiration date) and give those items to community members for free. Launched in 2011, the Farm Alliance of Baltimore City is a network of 13 producers united by socially, economically, and environmentally just practices and principles who are working to increase the viability of urban farming and improve access to urban grown foods. Participating producers can collaborate to collectively market and publicize their products, use shared equipment, and sell at the Alliance’s Saturday farm stand. To help ensure all city residents can access fresh produce, the Alliance launched its Double Dollars program in 2013. Through this program, the Alliance raises funds so that it can match EBT and WIC customers’ purchases at neighborhood-based farm stands, enabling them to buy twice what they could otherwise afford. In 2015 alone, the program provided matches for more than 1,400 unique participants. An initiative of the nonprofit Civic Works, Real Food Farm aims to achieve a just and sustainable food system by improving neighborhood access to healthy food, providing experience-based education, and developing an economically viable, environmentally responsible local agriculture sector. The Farm has an 8-acrce site in and around the City’s Clifton Park, where it trains and employs area youth and adults in agricultural and horticultural jobs, and provides hands-on educational opportunities for the community. To ensure all community residents can access fresh produce, the Farm launched its Mobile Farmers Market in 2011 that brings its produce to neighborhoods lacking easy access to fresh, healthy goods, and provides a match of up to $10 worth of produce to customers using EBT or WIC vouchers/checks. Launched in 2010 by the Baltimore Green Currency Association (BGCA), a group striving to create an alternative economy to strengthen local businesses, create jobs, encourage the formation of local supply chains, and ultimately provide economic opportunity and increased resilience to communities underserved by traditional economic structures, the BNote is a local currency accepted at over 230 independent Baltimore businesses. As of February 2016, over 40,000 BNotes were in circulation. Originally issued in denominations of one and five, in the spring of 2016 BGCA released its second series of notes, which include 10 and 20 notes and feature two prominent Baltimore women, Bea Gaddy and Lillie May Carroll Jackson. Free and open to the public year-round, Cylburn Arboretum is Baltimore's largest public garden, encompassing 207 acres. Built in the 19th century as a private estate, the Arboretum is home to a historic mansion and carriage house, as well newer buildings created to welcome and educate visitors that were designed using green techniques, including composting toilets, a “living” green roof, and geothermal heating and cooling. The Arboretum is the site of numerous free programs, including weekly yoga classes, outdoor concerts, and nature-focused workshops. It also houses a teaching farm operated by the Johns Hopkins Center for a Livable Future that features aquaponics, a system of agriculture combining fish farming with hydroponic plant farming. Located at a municipally-operated golf course, Herring Run Nursery sells plants natively grown in the Chesapeake Bay Watershed that promote a healthy environment. Its profits support its parent nonprofit, Blue Water Baltimore, a group aiming to restore the quality of Baltimore’s rivers, streams, and harbor in order to foster a healthy environment, a strong economy, and thriving communities. In 2014, the nursery sold over 22,000 native plants to more than 1,400 customers, generating roughly 10 percent of the nonprofit’s total $2.5 million in revenues. Humanim, a Baltimore-based nonprofit with a mission to provide uncompromising human services to those in need, established its social enterprise division to increase employment opportunities for individuals with severe barriers to work and economic opportunities. Its social enterprises include Details (a deconstruction and material repurposing business), iScan (scanning and conversion services), and Harbor City Services (moving, shredding, records management, and warehousing services). In 2016, it launched its latest social enterprise, City Seeds, a 15,000 square‐foot commercial kitchen and bakery. Founded in 1985, Living Classrooms Foundation aims to strengthen communities and inspire young people to achieve their potential through hands-on education and job training efforts that use urban, natural, and maritime resources as "living classrooms." One of its core job training initiatives is SERVE (Service-Empowerment-Revitalization-Volunteerism-Employment Training), an enterprise offering a range of neighborhood revitalization services while providing on-the-job training for 150 unemployed and disadvantaged adults each year. To date, SERVE is credited with cleaning over 40,000 vacant properties, rehabilitating 12 vacant homes, renovating 28 community buildings, and conducting over 45,000 hours of other needed community services. Another social enterprise, Fresh Start, provides training to out-of-school males aged 16-19 in a student-run business that builds outdoor furniture and accessories. The nonprofit also operates Harborplace’s paddleboats and electric boats, which provide job opportunities to youth who have been successful in Living Classroom’s training programs. Second Chance is a social enterprise that creates green collar jobs by deconstructing buildings and homes, salvaging usable materials, and selling those materials at its 200,000 square foot retail store. It uses the revenue generated through such sales to provide job training for Baltimoreans with employment obstacles. Program graduates are guaranteed associate or supervisory-level positions that pay above-average wages at Second Chance. In 2015, Second Chance provided training and employment to 180 adults and salvaged materials from 178 structures, diverting more than 1.5 million cubic feet of waste from landfills. Developed over a two-year planning process by the Office of the Mayor, numerous city agencies, and eight Baltimore-based universities and hospitals, the Baltimore City Anchor Plan is concrete action plan that defines the mutual commitments of the City and participating anchors in four priority areas: public safety, local hiring, local purchasing, and quality of life. The plan is organized around geographic sectors to encourage collaboration, partnerships, and targeted investments that could produce greater impacts and also to help the City provide information to anchors about ongoing City investments and activities in a more coordinated and comprehensive manner. 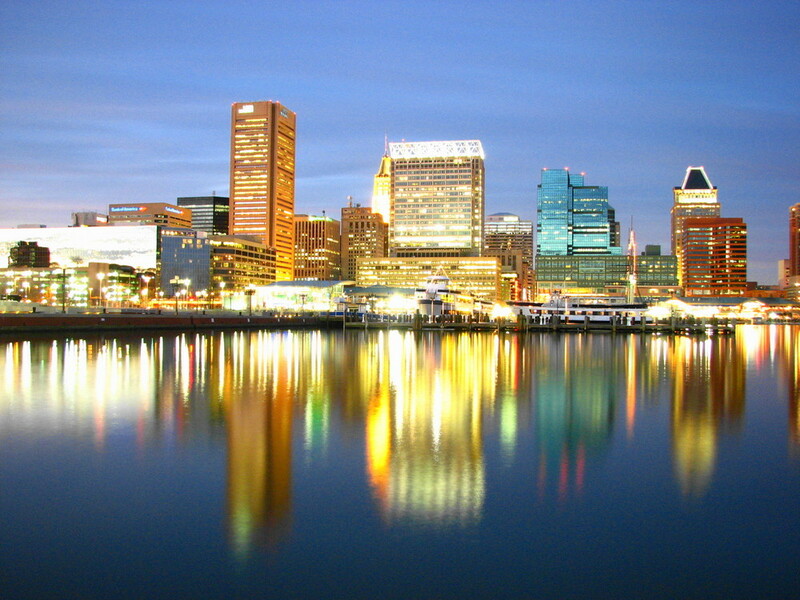 In 2015, the city awarded grant funding to four projects involving its anchor partners, including an effort spearheaded by Johns Hopkins University and the Maryland Institute College of Art (MICA) to conduct merchant organizing, business development and recruitment, and marketing in an area suffering from disinvestment. Established in 2000, The Johns Hopkins Urban Health Institute (UHI) aims to bring the resources of the Johns Hopkins institutions to the City of Baltimore, and especially East Baltimore (the community in which its medical center is located), to improve the community’s health and wellbeing. To do so, its core programming focuses on building collaborations between Hopkins and the city around research, community projects, program planning/implementation and evaluation, and knowledge sharing and education. It also runs a small grants program to stimulate community-university collaborations focused on advancing the health and wellbeing of area residents. The Community Development Clinic of the University of Baltimore provides a wide variety of legal services to and advocacy for historically under-served communities in Baltimore. Students assist community associations, non-profit organizations, and small business owners with the legal aspects of formation, operations and financing, land use, real estate acquisition, and other matters. Projects include representing community associations in negotiations for a community development plan, drafting and advocating state legislation to remove a legal impediment to the development of permanently affordable homeownership opportunities in Maryland, and helping a nonprofit organization acquire vacant land from the City. Opened in 2004, Red Emma's Bookstore Coffeehouse is a worker-owned and collectively managed vegetarian/vegan restaurant, coffee roaster, bookstore, and community events space. The co-op has a two-fold mission: 1) to demonstrate that it is possible to build institutions that embrace sustainability and democracy, and in doing so, 2) build a resource for social justice movements in Baltimore. Red Emma’s currently has ­­18 worker-owners, making it the largest worker-owned enterprise in the city. Images courtesy of Let Ideas Compete and Reev.